One sure way to sell your products is by displaying them correctly. And this rule applies to all jewelry you sell especially rings. If you’re having trouble selling your ring collection, then you might want to check out these tips. Just like in photographs, you need to market your rings by displaying them in the most attractive way. 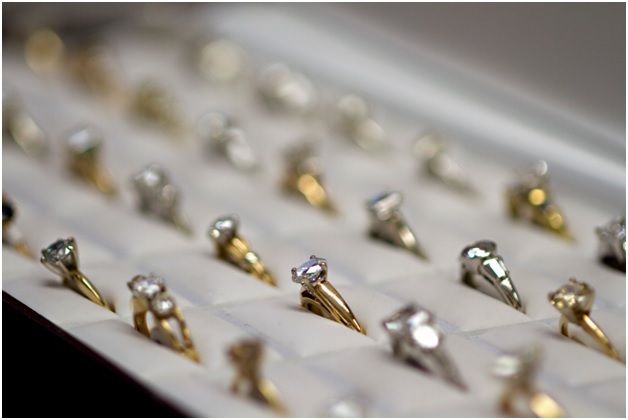 Know which angle looks perfect for the rings you are selling. It usually depends on the design, the type of stone that adorned the ring and its cut. Professional jewelers suggest that rings with round brilliant cut especially those with diamonds are best displayed when angled 45 degrees from the light source. The use of the right ring display. If you want to showcase your ring, then you must use the right jewelry display to emphasize the beauty of the jewelry. This also means you should consider the color of the display you’re going to use to showcase the rings. 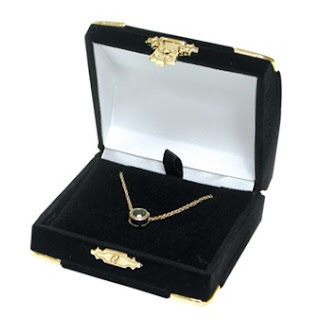 Black jewelry displays are perfect for silver pieces, while white displays will work well with gold rings. Try using risers or acrylic ring stands instead of using the usual ring displays. They provide something new for the customers to look at. Never make the mistake of showing the price tags. Always remember to never show the price tags of the rings you're displaying. These price tags can detract the beauty of the ring and can easily take the interest of the buyer when looking at it. The best thing you can do is to try and hide the price tag as best as you can when putting it on display. In an old article, we mentioned the importance of lighting in any jewelry store. The proper lighting can do wonders for your jewelry especially to statement pieces adorned with gemstones or diamonds. You need to focus your light to your diamond rings for them to shine brighter and catch your customer's attention. Your jewelry rings must sparkle and should not cast any shadow. For more lighting tips, you can read this article. Make sure to show the maximum surface of the ring. According to Ovadia Corp Blog, it is best to show the maximum surface of the rings you’re selling especially those with intricate bands. Make sure to choose jewelry displays that will be able to showcase this characteristic. Risers work best for showing your customers the exact surface of the ring and its entire design. Just make sure to pick risers that will blend perfectly with the other jewelry displays in your store. Want to know more tips? Then follow us at NileCorp Blog. Looking for inspiration on your latest jewelry design? 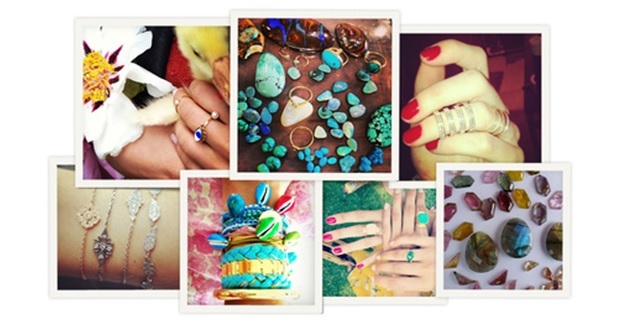 Well, let us help you; we searched the most popular jewelry designer accounts on Instagram for you to follow. Be inspired by their pieces, and create your own unique piece. Brooke Gregson is a London-based jewelry designer known for her colorful and original creations. One of her best-selling collections is the Silk Woven Gemstone Bracelets. 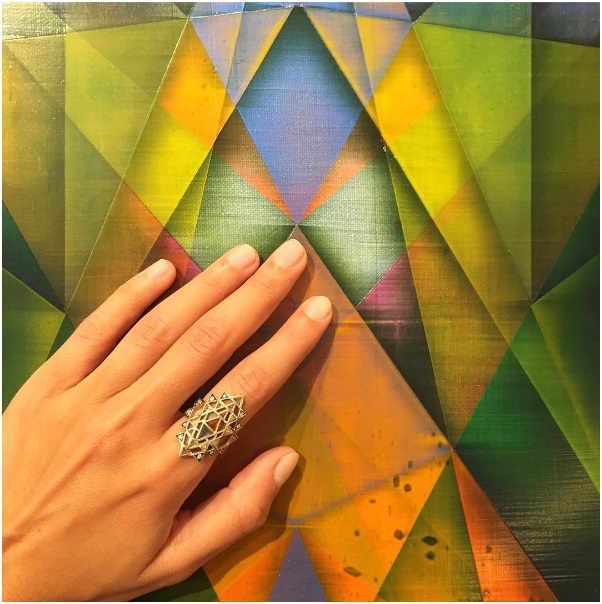 Try and visit her Instagram account to be inspired by her colorful jewelry designs. Brooke even hand select the gemstones for their natural features. Noor Fares is a young woman from Lebanon that creates jewelry that fuses together her Lebanese heritage and contemporary sensibility. Her jewelry is known for her beautiful materials such as moonstone, rock crystal, and rosewood. These raw materials show her love for geometry. Many of her pieces also possess a “protective eye” to ward off negative energy. 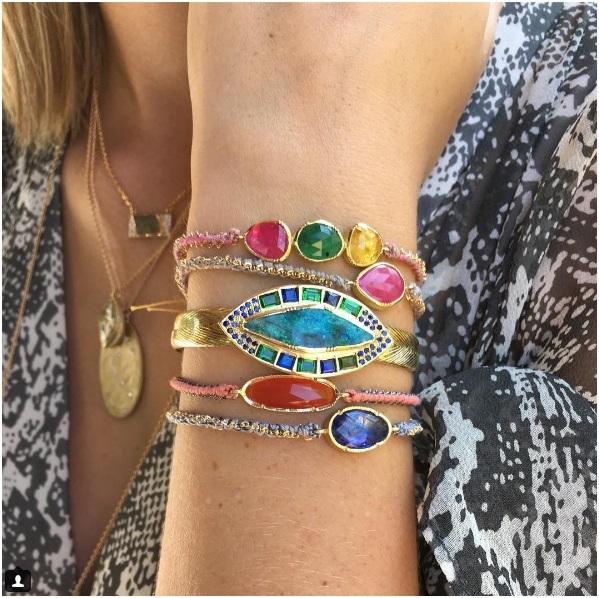 Jacquie Aiche is an LA-based designer that creates jewelry that perfectly blends strength and femininity. 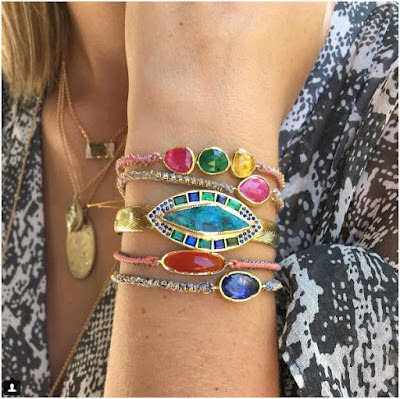 Her American and Egyptian heritage clearly show an influence to her designs, creating unique jewelry pieces designed with precious gemstones, fossils, and turquoise relics. Irene Neuwirth is best known for her brightly hued statement jewelry. 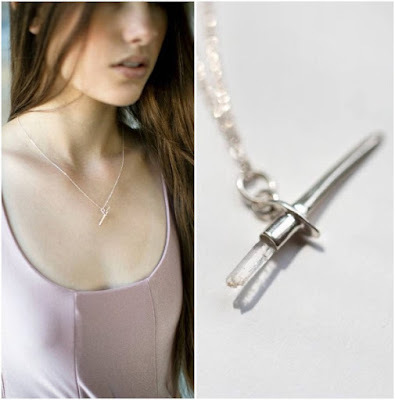 According to this designer, her jewelry is influenced by her deep love for the ocean which you will clearly see in her jewelry designs. 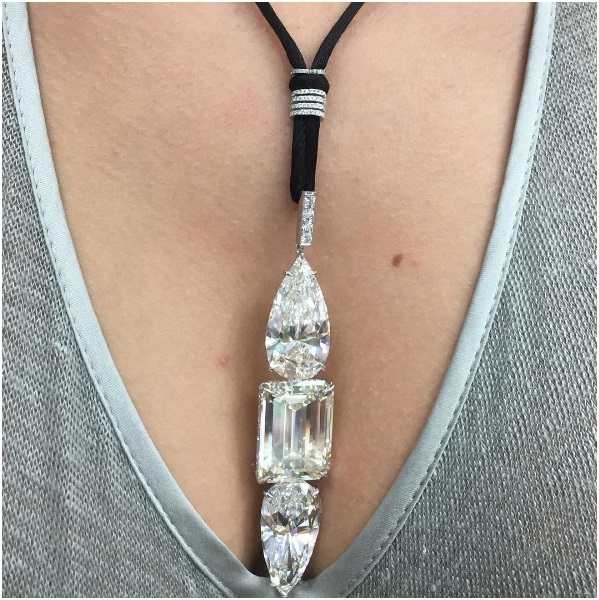 You’ll extremely love the gemstones that adorned her jewelry and the uniqueness of their shapes that is truly eye-catching. Erica Weiner is a New-York based jewelry designer known for her vintage-inspired fashion jewelry. She first started creating jewelry in the mid-2000s, starting with simple pieces with vintage charms and chain. Now, her business grew, and her design offers customers with antique-inspired jewelry that is hard to find in the market nowadays. 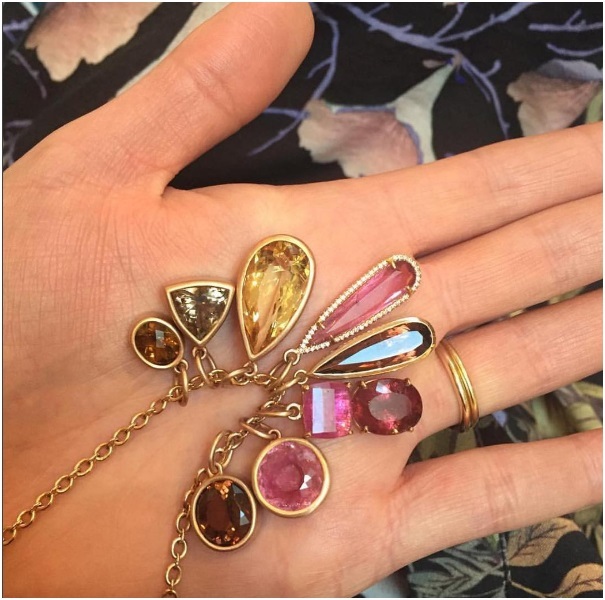 It’s hard not to know who Lorraine Schwartz is after the last Emmy Awards where many celebrities have flaunted her jewelry designs. She has designed for popular celebrities like Halle Berry, Jennifer Lopez, and Beyonce Knowles. Her name even grew more popular after Kanye West gave his wife, Kim Kardashian, a 15-carat diamond engagement ring made by her. Follow them on Instagram and be inspired by their designs. Once you have your piece, make sure to showcase them on a beautiful jewelry display. Aside from decorating your jewelry store for Autumn, it is also a smart move to incorporate this season’s theme with your packaging. It gives off a special feeling to your customers and a way to attract more people to your store. 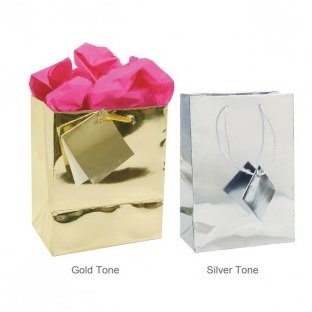 Here are some jewelry packaging ideas you can use for this season. Use burlap or linen pouches. Burlap and linen bags are perfect packaging to use. It has the right material and texture you can incorporate with the season. Be creative and add decorations on the bags, making it your own. Add pieces of leaves or other decorations that are connected to Autumn such as acorn dried hydrangeas or mini pumpkins. 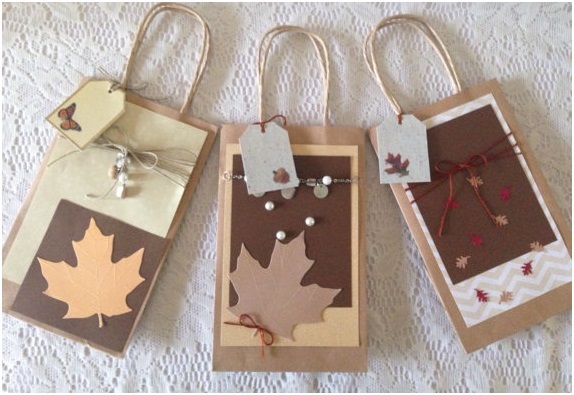 Add decorations on your paper gift bags. Create your own paper gift bags by adding your own touch to its design. Cut off pictures of symbols associated with the season and paste it on the paper gift bag. You can also have your gift bags printed with a “Happy Halloween” or “Happy Thanksgiving” greeting. This makes your packaging a little more special for your customers. Wood, trees, leaves and anything associated with the soil are the theme you should stick with if you want to incorporate an autumn theme to your jewelry store. That’s why choosing wooden jewelry boxes as your jewelry packaging is a smart move to go with the theme. You can also put a brown or golden ribbon around it with a small pumpkin decoration to commemorate the season. Gold tote bags features the perfect color associated with Autumn’s fallen leaves. You can also add special messages or greetings to its design. Cut off pictures or shapes of pumpkins, acorns, or anything associated with the season, and place it in the tote bag for an added design. You can also use these tote bags until Christmas. Go with vintage-design jewelry boxes. Vintage-style Jewelry boxes are perfect to go with the feelings of Autumn such as melancholy and reminiscence. 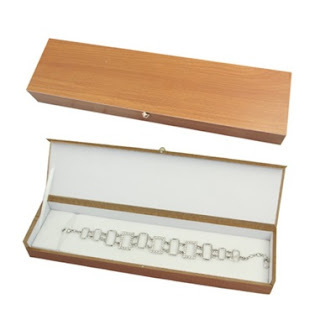 Use this to characterize your jewelry packaging. There are several vintage-style jewelry boxes on the market you can use. 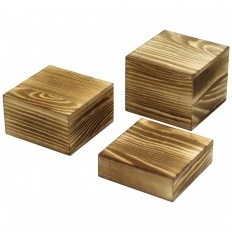 Stick with jewelry boxes with golden accentuated features or wooden-style designs. For more packaging materials, check out our collection at NileCorp.com. One way to attract customers is by showing something unique to their eyes, whether it's the jewelry, the display, or the shop decoration itself. This Autumn make sure to use incorporate it on your store’s display. 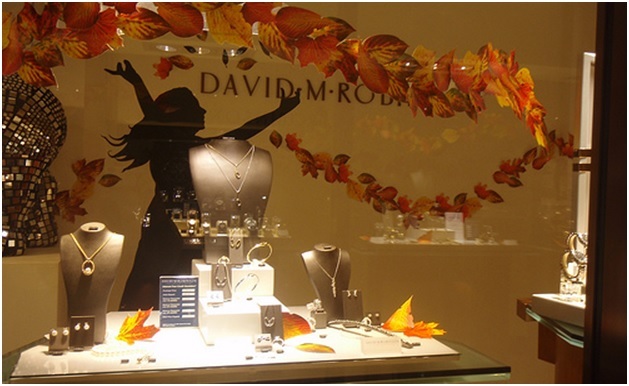 Here are five stylish jewelry displays to use for your store’s autumn theme. This eco-friendly bust display is sculpted and wrapped in paper twine, creating a natural look to emphasize your jewelry’s beauty. 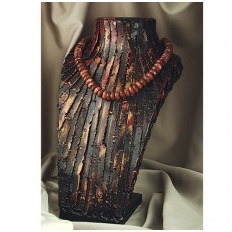 Its brown hue makes it the perfect display to put your autumn jewelry collection. Add bits of decorations that is associated with the season like brown or orange leaves or flexible twigs. 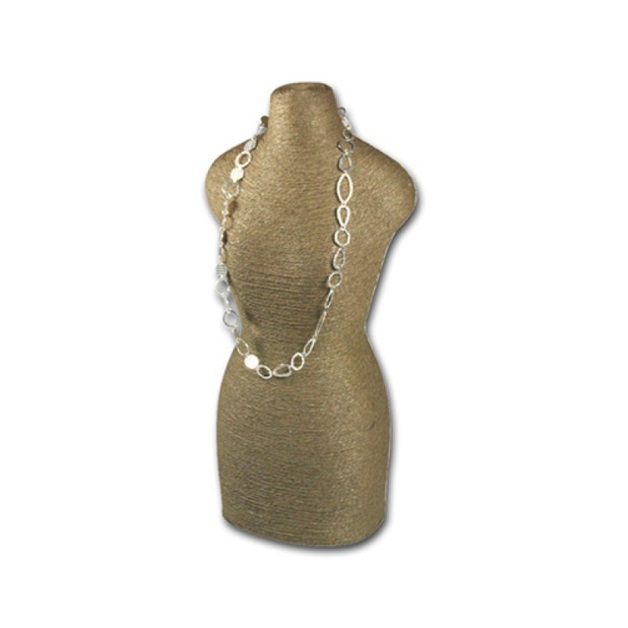 A unique centerpiece to attract the eyes of your new customers, this metal necklace display features a bold textured design to showcase the beauty of any stunning gold accessories. 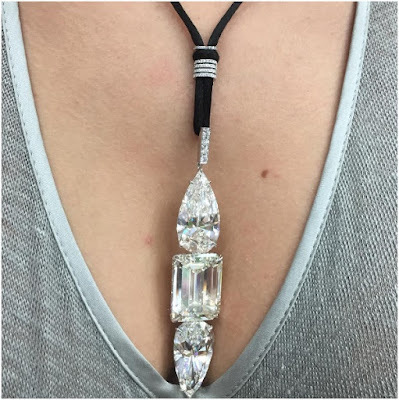 It creates the perfect contrasts to highlight the color of a necklace chains especially if it's adorned with a luxurious pendant or a brilliant gemstone. This vintage wood bracelet display features a T-bar design in a vintage wood style. 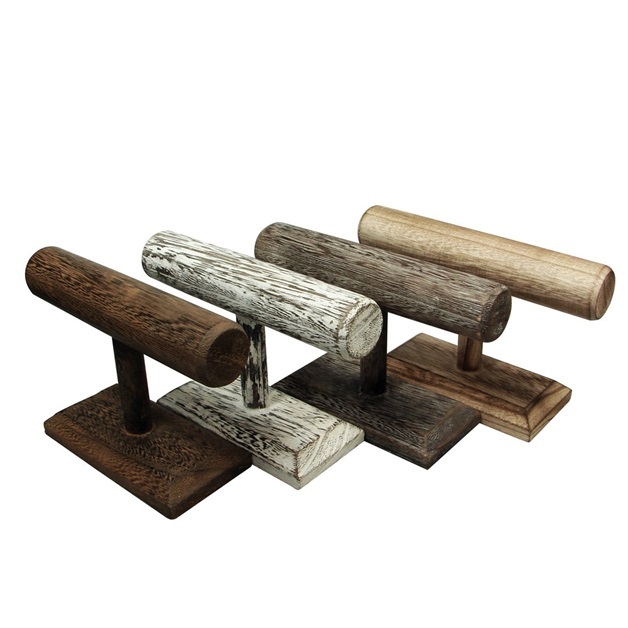 With its wooden colors and design, it is the perfect piece to use in your store and display your bracelets. 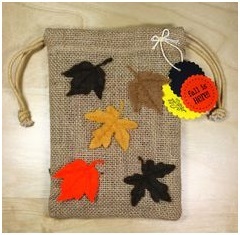 You can also add bits of designs and decoration such as leaves, acorns, or little pumpkins. Just remember to display gold jewelry on it to create the perfect contrasts. As natural as it looks, these Wooden Riser is a great ring display to use this season. It is the perfect item to highlight small jewelry pieces on your store. You can also easily bring it on tradeshows. Display your autumn ring collection on it and make sure to place them near your other fall decorations for an added effect. Similar to the other jewelry displays in this article, this ring display also possessed an old wood style perfect for the season. 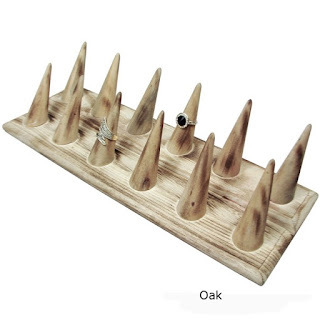 Its unique style is a great addition to your jewelry displays and is something you can use all year around. This ring display is the perfect piece to showcase your gold rings adorned with gemstones. Looking for more jewelry displays to use this Autumn? Then check out our shop.